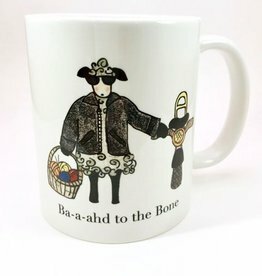 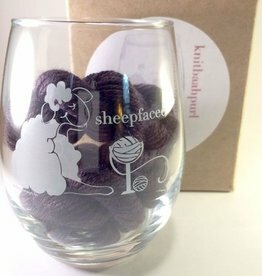 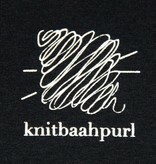 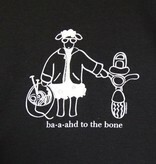 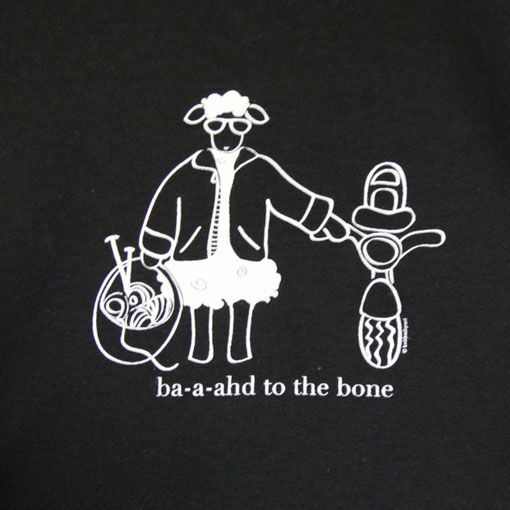 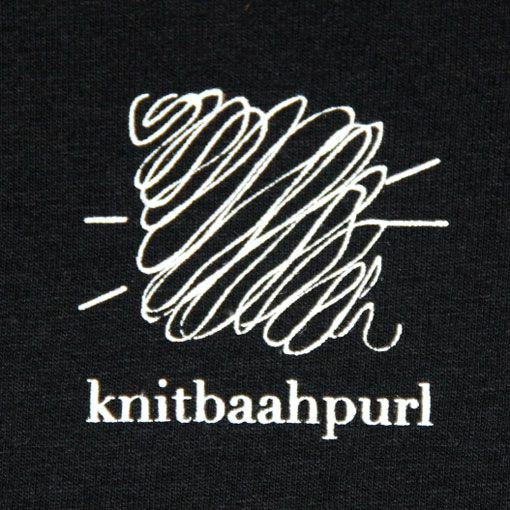 Show the fiber world you mean business by wearing the Knitbaahpurl Baahd to the Bone short sleeve t-shirt. 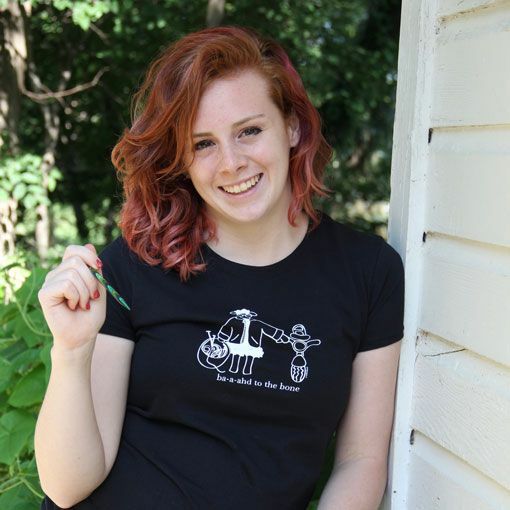 This high quality screen printed shirt offers a women's cut with a slight taper at the waist, a flattering relaxed neckline, and proportional shorter sleeves. 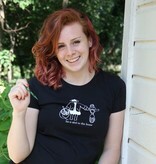 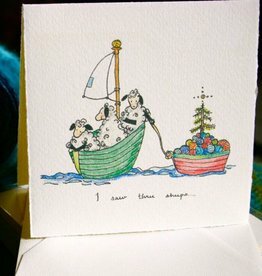 Made from preshrunk 100% cotton.